Dubai, UAE, 3rd of May 2016: It gives us immense pleasure to announce that Emirates Group Security has won one of the most prestigious excellence award, “Dubai Quality Award” for 2015-2016 cycle which runs under the supervision of Department of Economic Development, Dubai. 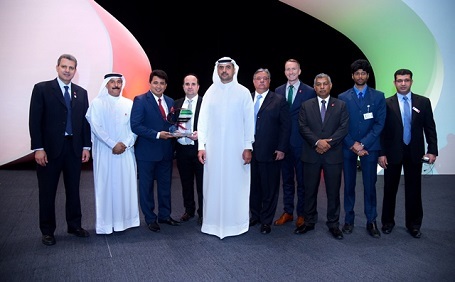 The result of winning the award was formally communicated by Ms. Shaikha Ahmad Abdulrahman Al Bishri , Business Excellence Department Director from Dubai Economic Department to Dr. Abdulla Al Hashmi, DSVP of Emirates Group Security. 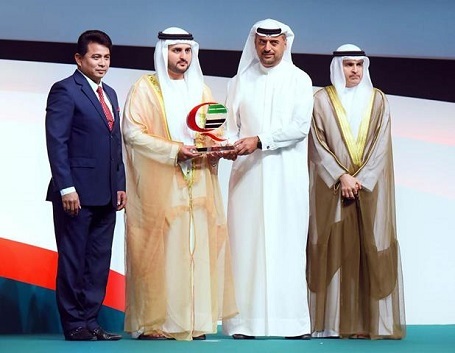 The award ceremony took place in World Trade Centre on Tuesday the 3rd of May 2016 in which all award winners of different categories DQAA, DQA and DQAG were awarded by his highness Shaikh Maktoum Bin Mohammed bin Rashid Al Maktoum, Deputy Ruler of Dubai and the Chairman of Dubai Media Corporate. The winning of Dubai Quality Award would not have been possible without your support. We are highly thankful to each individual who has been a part of this project in one way or another for his/her dedication, contribution, enthusiasm and willingness to learn and put their maximum efforts to get the award. This proves that the torch of teamwork is still burning in each one of us and we want this spirit to be immortalized within the culture of Emirates Group Security. Dubai Quality Award is not a process of generating winners and losers, it is a process for recognizing role model organizations. Keeping this in mind, the management of Emirates Group Security has always believed in demonstrating sustained continual improvement along with focusing on the Improvement processes. 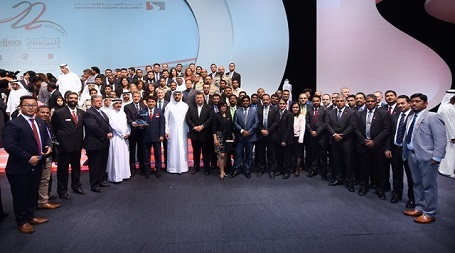 Setting and revising vision, mission and values; strategy development; rewards and recognition; performance management; strengthening processes, policies and procedures; CSR activities; Stakeholder Surveys; Awards and Accolades; Staff Development; technology advancement and many more initiatives are some of the evident proof that winning of Dubai Quality Award is well deserved. Our journey doesn’t end after winning Dubai Quality Award and neither will it end after winning the Gold award. As the word “Continuous Improvement” suggest, it is a never ending journey and hence there is no finishing line to it. Being an Industry leader and the kind of Industry we operate in, we should always focus on building our strengths, overcoming weaknesses, utilizing opportunities and beware of external and internal threats. Each and every stakeholder plays a vital role in growing our business and therefore we all should strive to meet and exceed the expectations of our stakeholders. “Security is everybody’s business”, we all live by this statement each day. Similarly we should not forget that we all are equally responsible to create culture of continuous improvement in the organization and hence it becomes a part of our business as well.